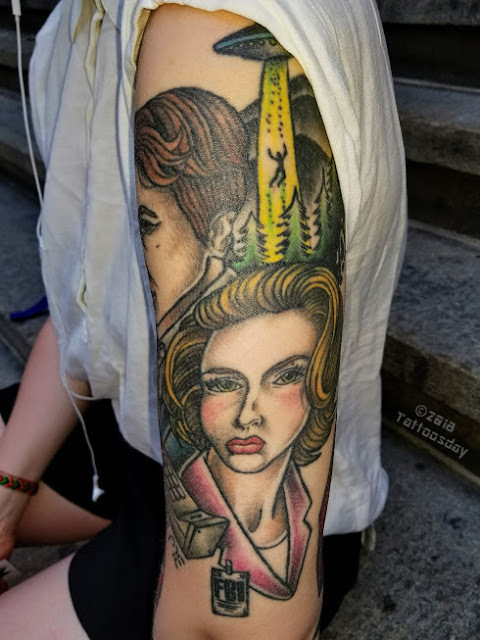 Vita Shares Some Ink from Russia! 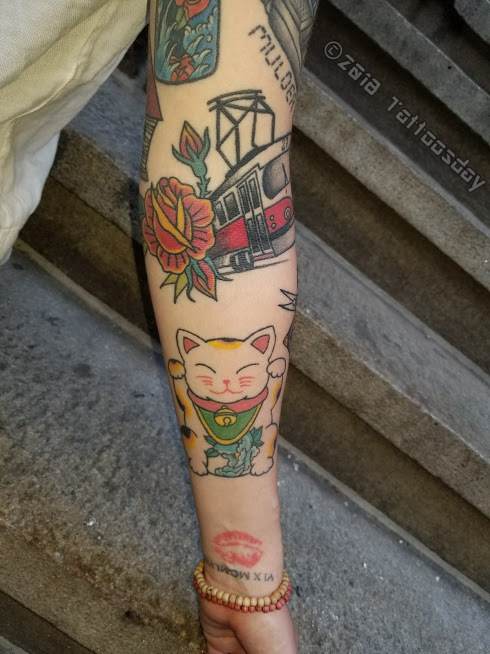 Catching up on some old material, these tattoos are from Vita, a Russian woman from St. Petersburg, who I met on the steps of Federal Hall in September of 2017. She credited the work to Dasha Kudri at No Name Tattoo Shop in St. Petersburg. She explained that there was a big tattoo project being done to raise money for the World Wildlife Fund, with designs contributed by numerous artists. She said people would sign up and pick their favorite design and then winners were selected. All proceeds went to the WWF. 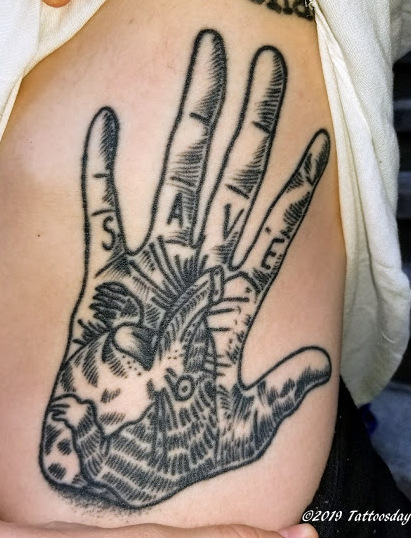 This hand, with the word “SAVE” and a muskrat on the palm was inked by Andrey Kichaty (@kichatiy). 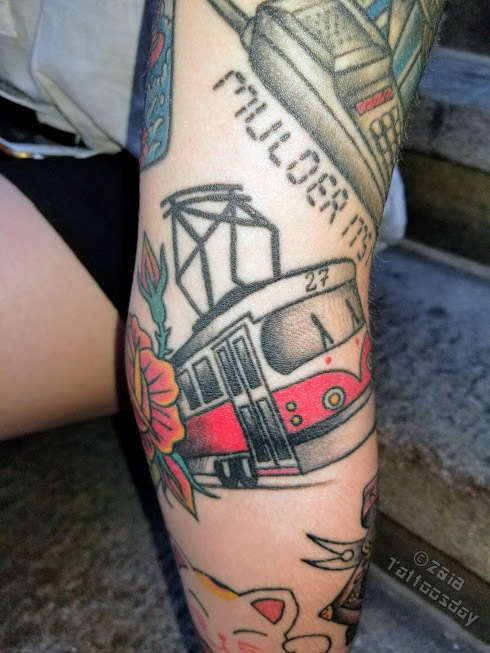 Thanks to Vita for sharing her tattoos with us here on Tattoosday!